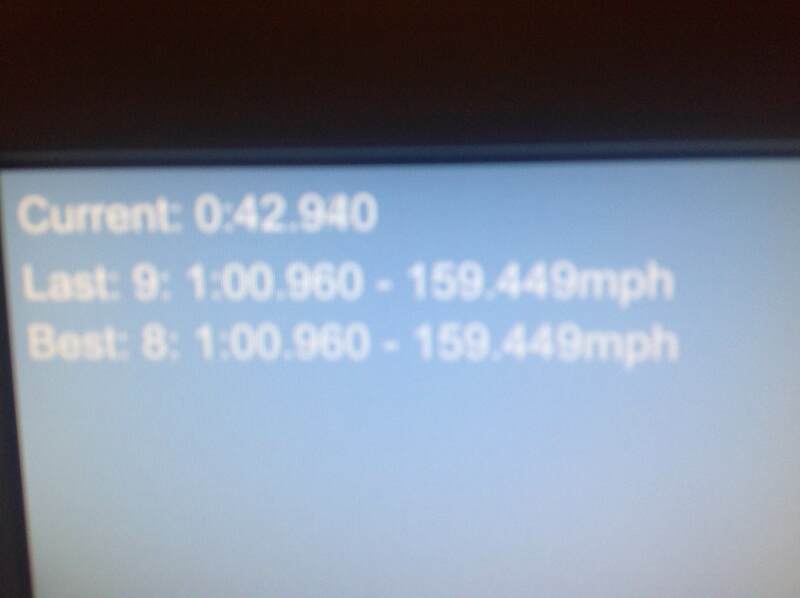 What's everyone's fastest lap in the new sim? I had a 157 something a while back, but don't have proof of it. Edit: this was before the latest update. I'm tweaking the physics a bit for the next version to try and get the cornering speed higher and the top end a bit lower. Something is wrong with the course length. 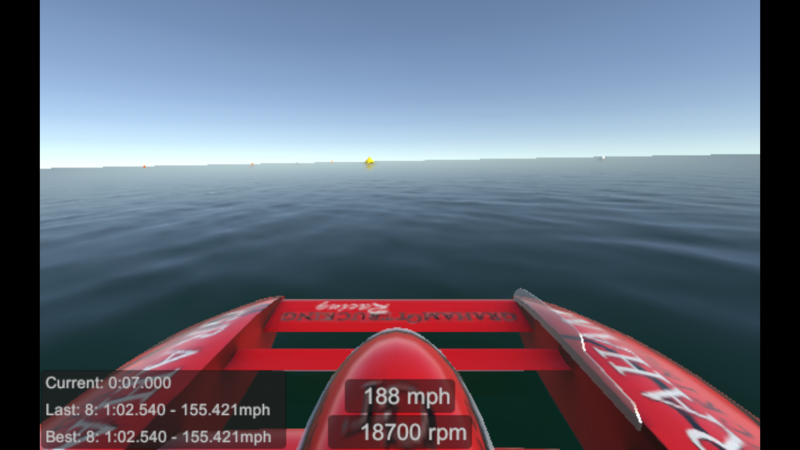 1:00 on a 2.5 mile course should be 150 mph, and the speeds we are hitting would be faster averages on a 2.5 mile course. Correct, the course is based on the Tri-Cities blueprints I have. I measured it and the inner buoys are about 2.7 miles. The rest of the blue prints I have seem accurate to what the real courses are typically listed as, so either the blueprints are innacurate or Tri-Cities is actually 2.7 miles and not 2.5 miles. The lap speeds are based on the course being 2.7 miles. He hit about 190 at the end of the straight on the fastest lap. Right, so you see that they're calculating speeds based on a 2.5 mile course? I feel like I remember a similar thing happening in the early days of Hydromod. :) Anyway, thanks so much for building this. It really is amazing, did you see the post where they set it up in the Seafair media room? @craigmont Haha, it likely also happened with HydroMod because I'm using the same buoy blueprints. 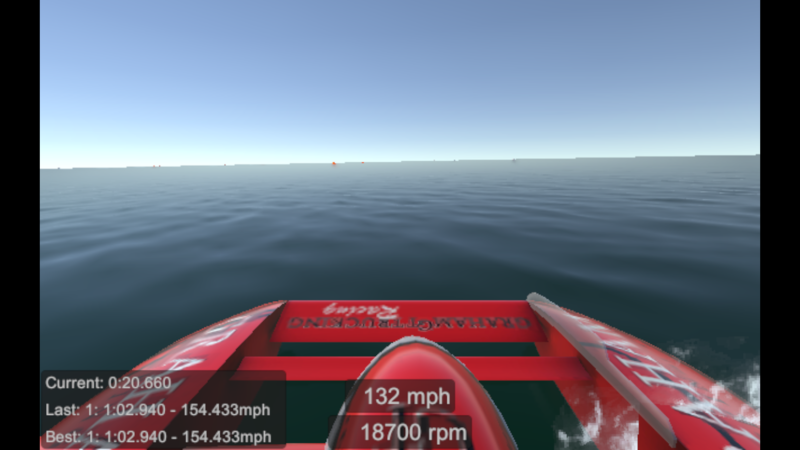 I watched the mileage readout in the video and it was roughly 2.65 miles on one of his laps, so it would be impossible for the inner buoy line to be 2.7 miles. So yeah, definitely on my list to shrink it down a bit. I'll probably do it when I implement the ability to load different courses. I did not see the post about it setup in the Seafair media room, is it on the H1 website? You have a link? @craigmont Ha nice, looks like theres quite a bit of buzz on the facebook.